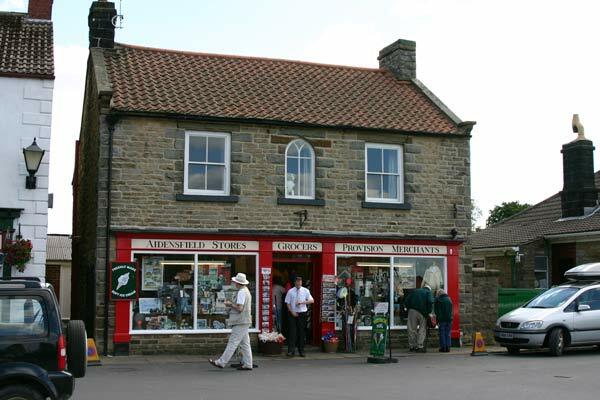 The photos so far on this page were taken in a village with a dual identity, Goathland is also Aidensfield in the ITV series "Heartbeat" hence this shop in Goathland is called Aidensfield Stores! 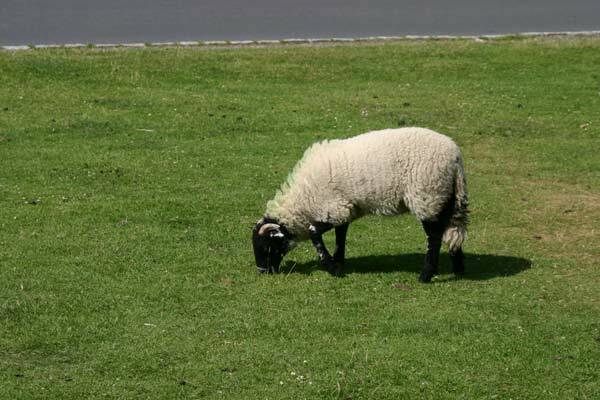 ... on which sheep were grazing, like this one, totally oblivious to the milling throng of tourists. 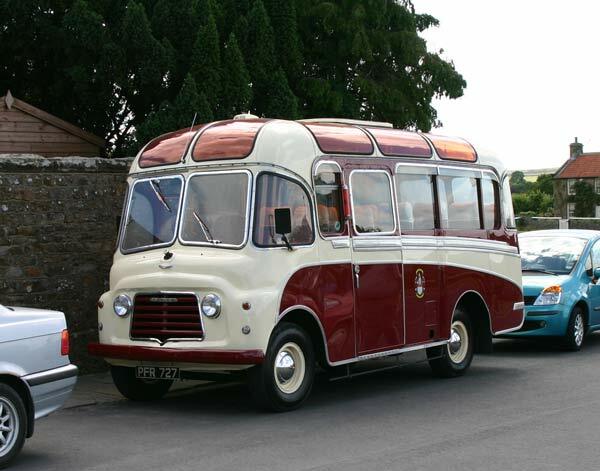 This Commer coach, old but in lovely condition, was parked nearby. 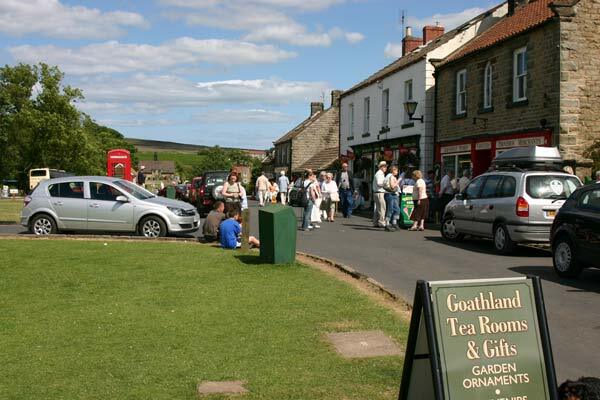 Not sure if was just a visitor or something to do with Heartbeat. 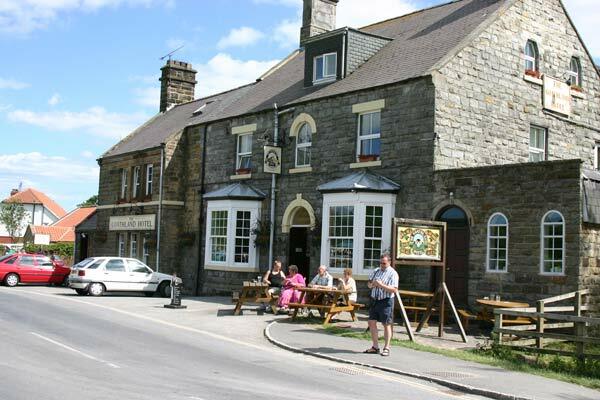 A little way down the road is the Goathland Hotel, which doubles as the Aidensfield Arms though unlike many of the businesses it only displays its real name not the TV one as well. 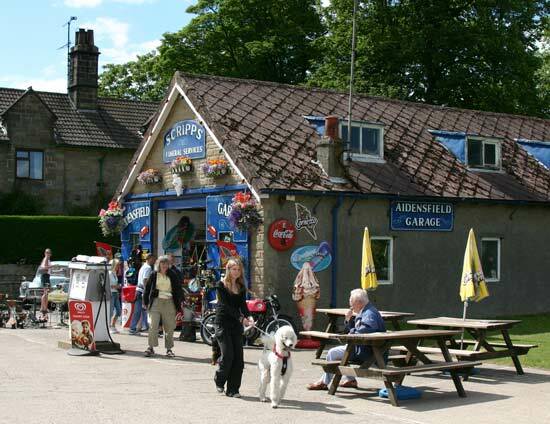 Aidensfield Garage isn't so coy, it's actually a tourist shop cashing in on the Heartbeat connection - and why not! 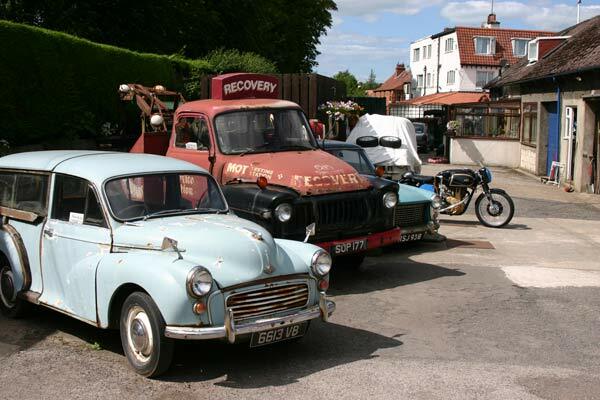 Outside the garage is a small collection of old cars and motor bikes. 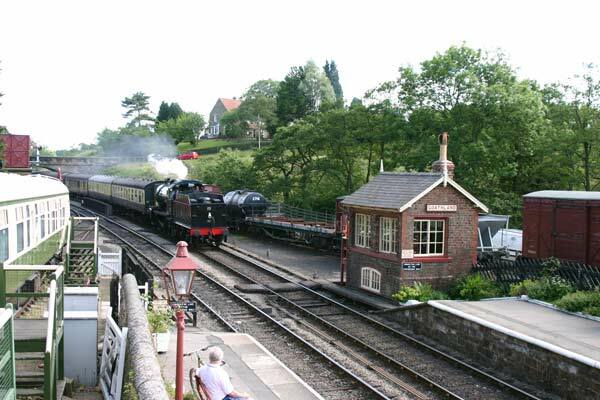 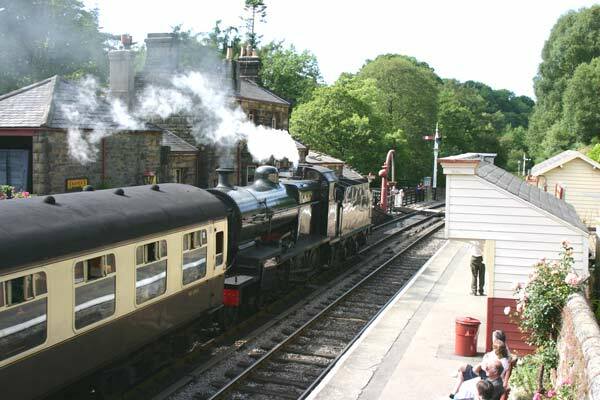 Goathland station on the preserved North Yorkshire Moors Railway also features on TV, these photos show a train from Pickering to Grosmont arriving at this attractive country station.